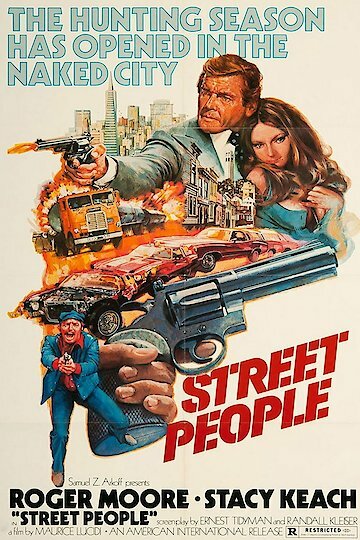 "The Hunting Season Has Opened In The Naked City"
"Street People" (1976) is also known as "The Executors" and "The Sicilian Cross." It's an Italian crime movie. One of the characters is a Mafia boss who is livid when he's wrongly accused of smuggling heroin. He has his nephew, a lawyer, track down the real smuggler. The nephew then recruits a friend who's a race car driver to help him. Street People is currently available to watch and stream, download on demand at Amazon Prime online.